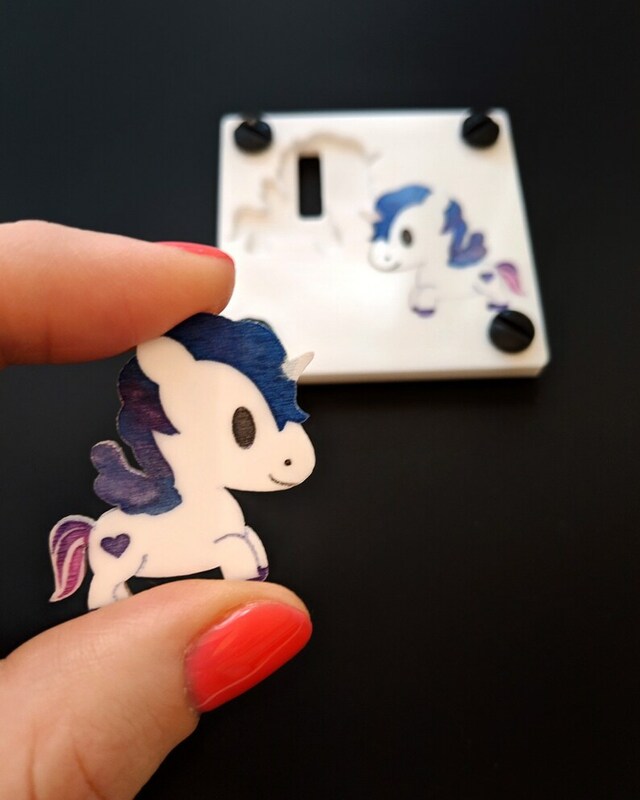 This laser cut pair of unicorns pins are all you need to stand out from the rest of the world. Not big, not tiny, just the right size that feels right with your style. This product is handmade no one item will be exactly from the other. Therefore expect slightly differences between the ones in the picture and the one you get. Last but not less important, this Brooch comes in a puzzle packaging, making it a perfect and unique gift from for your loved one. Don't be afraid of asking me a different color, size or shape. I can engrave a name or anything you really want I totally can do custom work. DM me and let's work together!